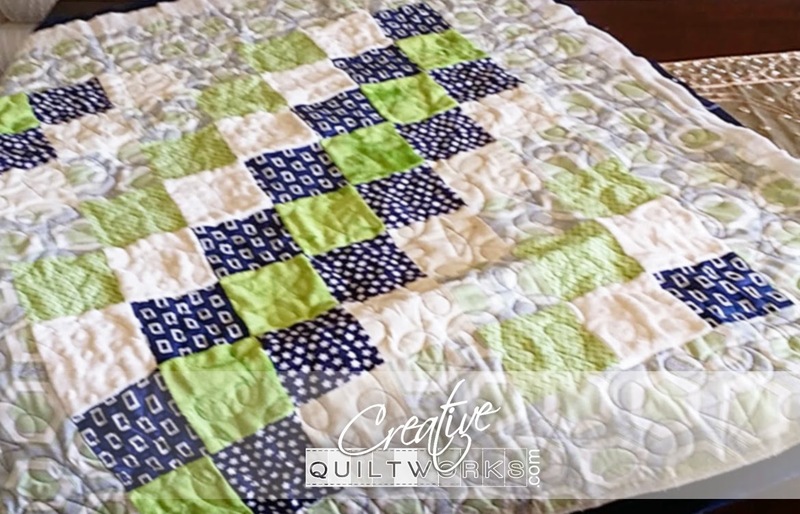 Lorri @ Creative Quiltworks: Joleen's Quilt for New Grandbaby boy! 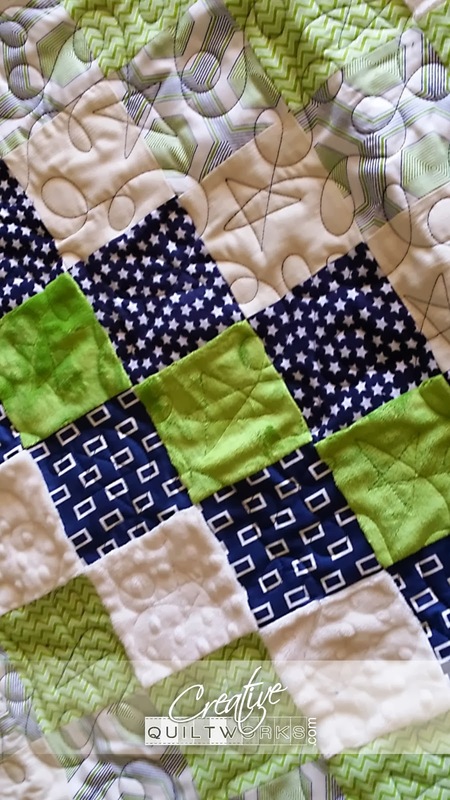 Joleen brought me this darling quilt she pieced for her upcoming Grandbaby boy! I love these beautiful colors! Here is a close up of the front! She chose stars and loops for this lucky little guy! Her is a close up of the back! The back is minky and so soft! 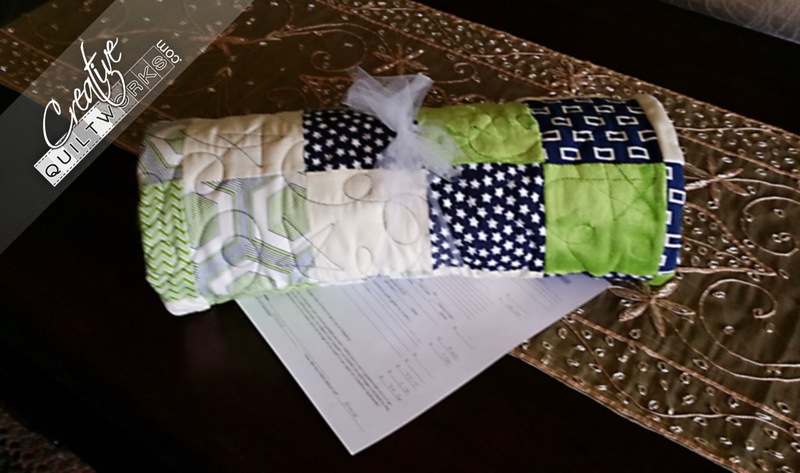 Here is her quilt all ready for pick up! 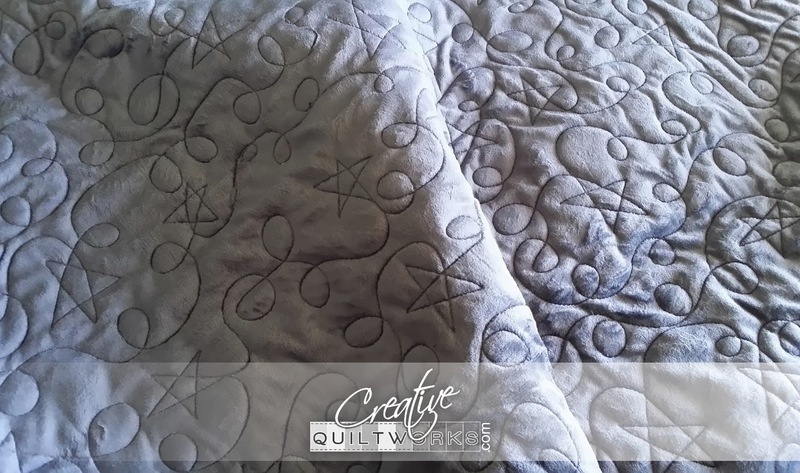 Thank you Joleen for having me quilt your quilt! Enjoy that grandson!